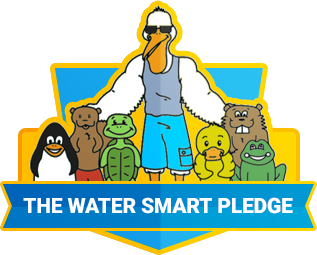 Talk to your child about water safety. Proper physical barriers add layers of protection & delay access to water by an unsupervised child. Make sure children learn to swim, the sooner, the safer! Assign an adult water watcher to supervise! Prevent unsupervised access to pools and spas with barriers and alarms. Barriers buy extra time if a child is missing. * Most toddler drowning fatalities occur because of a brief lapse in supervision within the home or play area of the yard.